Home MMA News Fightweets: Just how stacked is UFC 214? Fightweets: Just how stacked is UFC 214? @ThatKiddSwiz: Thoughts on this stacked UFC 214 card?! Ufc using Woodley as a safety net for potential main event fall out? *knocks on wood*! As it stands right now, UFC 214 in Anaheim on July 29 has emerged as that supercard we’ve been waiting on since UFC 207. Shows with three title fights and supporting acts like Aljamain Sterling vs. Renan Barao and Ricardo Lamas vs. Jason Knight don’t come along every day. And yes, absolutely this show is being loaded at the top as DC-Jones insurance. This is the fifth attempt to make a Cormier-Jones fight. They’ve actually only made it to the cage once. Last year, at UFC 200, it seemed absolutely impossible that Jones could screw up, coming off his run-in with the law, and he still managed to fail a drug test. Given the marked dropoff in interest in the UFC so far this year after the blockbuster 2015-16, the company just can’t afford to have a big card fall apart. And let’s also not forget that the Cyborg Justino vs. Tonya Evinger featherweight title fight is far from a sure thing, itself, for various reasons. So the UFC added the Tyron Woodley vs. Demian Maia welterweight title fight this week. Some people griped that Maia has a tight turnaround and short-ish notice for this fight. Some people will complain about anything. Maia has been lobbying for this fight for quite some time, and he doesn’t exactly strike anyone as the type of person who gets way out of shape between fights. You have to take life’s opportunities when they’re presented, not on your own perfect little timetable. This could be a great fight. And it should be a great night. Even if one of the the title fights drop out between now and then. If two drop out? Bad, but we’ll still have a title fight as a legit headliner. Let’s not even think this line of thought through to the next “what if,” and instead offer sacrifices to The MMA Gods. What to make of Bellator NYC? @LeeHarrisonUK: Was Bellator so awful it was amazing or was it a good to decent show marred by some teething (in a commission and company sense) issues? I ran a poll on Twitter after Bellator NYC/Bellator 180 asking if it was the best show ever, the worst show ever, or both at the same time. 71% of nearly 600 respondents picked both, and quite frankly, that sounds about right. Here’s one thing I have long admired about Scott Coker: The guy is never afraid to take chances and let both people and concepts succeed or fail on their own merits. Sometimes they work out magnificently well, like when Cyborg vs. Gina Carano broke Showtime viewership records back when some people were still saying you can’t possibly headline a major headline a show with women’s fighters. Sometimes they’re disasters, into which I’ll put the entire Bellator Dynamite concept. People just don’t want to see MMA and kickboxing on the same show, no matter how many times people try. 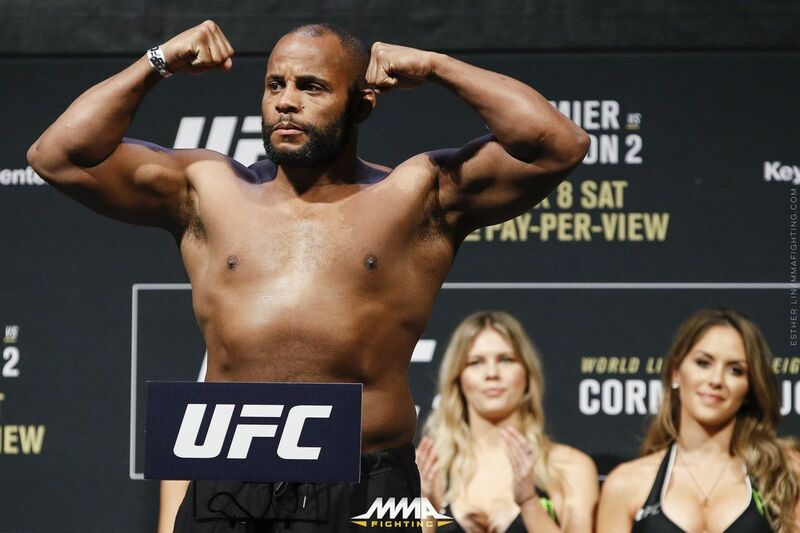 Sometimes Coker is like a cat who fell out of a tree and landed on his feet, like when Fedor Emlianenko and Andrei Arlovski were both eliminated on the first night of the Strikeforce Grand Prix tourney, only to have Daniel Cormier emerge out of the alternates bracket, win the tourney, and become a star. Bellator’s big Madison Square Garden event was a grab bag of all of the above. Aaron Pico’s debut was a disaster. Yes, it’s easy to second-guess, but I mean, why in the world wasn’t Pico fighting someone else making his debut, or with one or two pro fights at most? How do you let anyone, no matter how highly touted, in there with anyone who has 10 fights? Even Cain Velasquez’s first opponent, which was on a Strikeforce show, only had three career fights going on (and he never fought again after Velasquez ran him over). Michael Chandler vs. Brent Primus was bizarrely compelling before it’s strange finish. Weird things happen in MMA, especially when NYSAC is involved. Either way, it was buzzy and it sets up a rematch which will have a lot of interest. Fedor Emelianenko vs. Matt Mitrione, with the double knockdown, will be continue to be discussed years from now. And the Chael Sonnen vs. Wanderlei Silva fight was entirely decent enough, which is about the most we can ask from the legends fights. All in all, it was an interesting brew of the good, the bad, and the ugly. Bringing back Mauro Ranallo to commentate was a huge plus. It made Bellator finally feel like Strikeforce 2.0, which is probably what Coker has wanted all along. Either way, contrast nights like Bellator NYC to the UFC’s ruthlessly efficient cookie cutter. Coker’s not afraid to try something new, and while the results aren’t always gold, there’s no doubt the sport’s better off for it. @Soprano76MMA: Any news when the UFC will implement the new weight classes? The new weight cutting plan goes in effect at UFC214, right? Let’s start with your second question first, since it’s the most relevant one at the moment. Yes, the California State Athletic Commission’s new weight-cutting rules go into effect for UFC 214 in Anaheim. We’ve already seen the commission conduct it’s first 30-days-out weigh-in of the six title fighters on the card, and can do so again 10 days out. We’ve also seen CSAC step in and deny Barao’s request to fight at bantamweight. This was the correct call on California’s part: Barao had his infamous weight-cutting mishap the day before UFC 177 and had to pull out of his main event against T.J. Dillashaw in Sacramento. Making Barao fight Sterling at 140 instead of 135 sends the message right out from the gate that the commission is serious about the new rules. As of now, California’s the only state that is pursuing this path. The commissions vary widely in quality from state to state (If someone from the New York State Athletic Commission told me it was going to be a sunny day, I’d be sure to pack an umbrella). Maybe some fighters will try to dodge the state rather than adhere to their rules, especially if other states sign on. But California’s mere size — there’s too much money on the table to avoid running shows there even if promoters wanted to — means they can do things their own way. Either way, we’re fortunate to have an executive director like Andy Foster who cares as passionately about fighter well being as he does. As for your first question, CSAC has instituted weight classes of 165, 175, 195, and 225 pounds, but promotions are not bound to adhere to the weight classes. There is simply no appetite from the public to add another handful of championships to the scene. Casual fans who stopped following boxing often cited “too many weight classes/titles” as a reason they stopped watching. The UFC’s not in a position right now where further dilution the product is going to help matter any. Would it be the right thing to do in a perfect world? Probably. But, imagine a world where, say, Gabriel Gonzaga is fighting for a 225-pound title because of a lack of depth in the weight class, and, well, you’ll see why UFC isn’t in a rush to go along. @kyleacaesar: Will the UFC ever return to a merit of title shots return or will “money fights” be the new norm? I mean, let’s not get carried away here. Amanda Nunes is defending her bantamweight belt against her top contender next weekend. Cormier-Jones is, really, 1A vs. 1B. Woodley is meeting his top contender, Maia, after defeating his previous top contender, Stephen Thompson. Jose Aldo vs. Max Holloway was 1 vs. 2. Stipe Miocic fought his best available contender at the moment in Junior dos Santos. If you go down the list, the UFC actually sticks by the top contender formula more often than not. It just so happens that in two of their 11 champions, you have a once-in-a-generation supernova in Conor McGregor and a super-wily vet milking his moment in the sun for all it’s worth in Michael Bisping. The “money fights” thing is a fine line and promoters do hear about it from fans and media when they cross the line too often, but let’s not pretend like the line doesn’t exist. @sigep422wesg: Will @danawhite make sure that @MightyMouseUFC fight card absolutely sux just to prove a point?? Sounds that way from what Dana is saying! Pretty weird, right? White sounded like a petulant teenager when he more or less said they’ll go ahead with a Demetrious Johnson flyweight title defense against Ray Borg, then completely trashed the concept of the fight. I mean, even granting that I have minimal interest in Johnson vs. Borg, and I suspect I’m not the only one, what good comes from White coming right out and saying such? He’s supposed to be the promotional genius, the guy who has taken his place in the pantheon with P.T. Barnum and Vince McMahon Jr., isn’t he? If he can’t make fans want to see the world’s best pound-for-pound fighter breaking what might be the UFC’s most hallowed record — most title defenses — then maybe he should take a minute to think about whether or not his heart is still really in this.